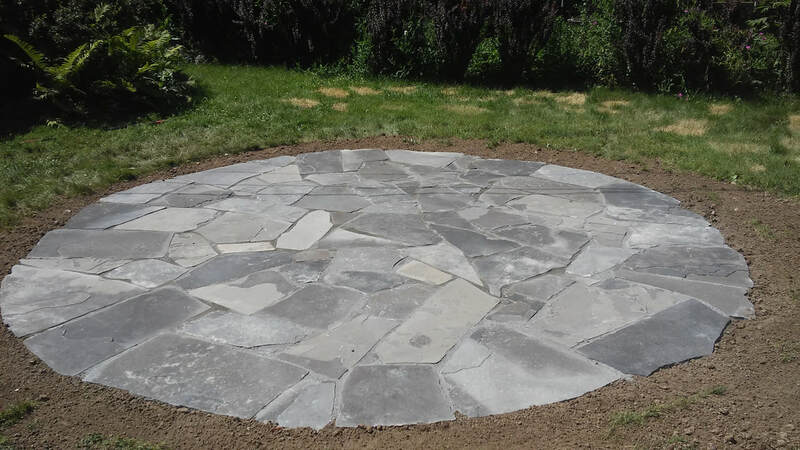 Huron Landscape & Maintenance takes pride in our ability to build beautiful and long lasting retaining walls and patios using natural field stone and flagstone. Concrete hardscape products are popular because they look nice when first installed and are easier and cheaper to build in larger applications. However, sometimes stone is cheaper to install, especially on smaller projects. Furthermore, concrete products lack the unique, natural and artistic touch that stone can provide. For a hardscape element that blends well into your outdoor space, stays attractive for years to come and never goes out of style, consider using natural stone.